Sweden's 2017 Oscar hopeful finally rolls out in the UK. A comedy which aims squarely to haul in the "silver dollar". Owns its own constant lapses into icky sentiment. An elderly widower considers ending it all in this Dickensian comic fable set in and around a Swedish housing estate. This sizeable dollop of saccharine mush scored a Best Foreign Film nomination at the 2017 Academy Awards, and it’s not difficult to see why. It ticks boxes and doles out lightly sentimental platitudes about how to make the painful business of living that tiny bit more bearable. Yet, it does what it does with a satisfying and unabashed precision, never trying to hide what it is and what it really wants to achieve. Which is to make you laugh and cry and laugh again. 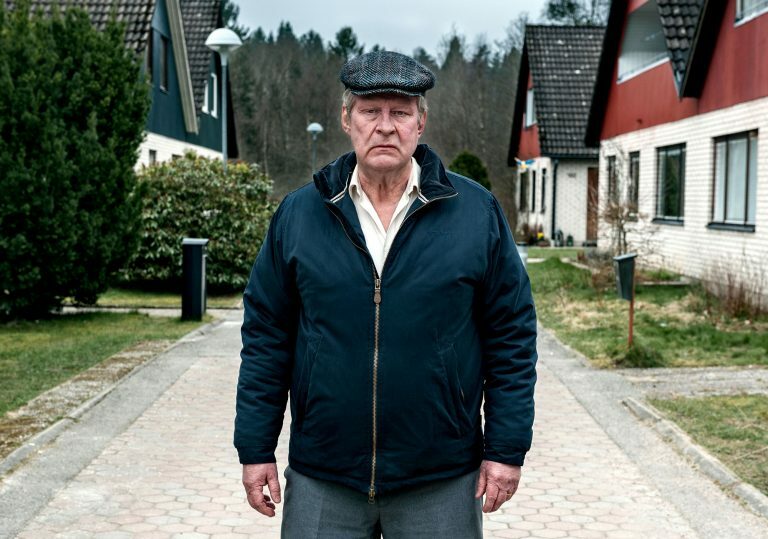 Adapted from Fredrik Backman’s bestselling novel, A Man Called Ove is solid, likeable mainstream filmmaking which pulls no punches when it comes to delivering its ultra-affirmative life lessons and stacking up explanations for Ove’s aggressive manner. On the brink of self-annihilation, our gruff hero eventually starts to see the error of his ways and discovers that home suicide may not be the the best solution for his problems. A wave of good vibes sweep in on the back of the eccentric family next door, especially in the paragon of human compassion, Parvaneh (Bahar Pars). Hannes Holm’s direction nicely switches between mild comedy and balmy sentiment while never quite tipping the balance too far either way. Lassgård convinces as the modern-day heartbroken Scrooge who, throughout the film and in between various bungled attempts to take his own life, opens up about his feelings and the (mildly) tragic life he’s led. Not a film to change your view of the world or anything like that, but certainly a pleasant enough sit.